Original snapshot for book cover. 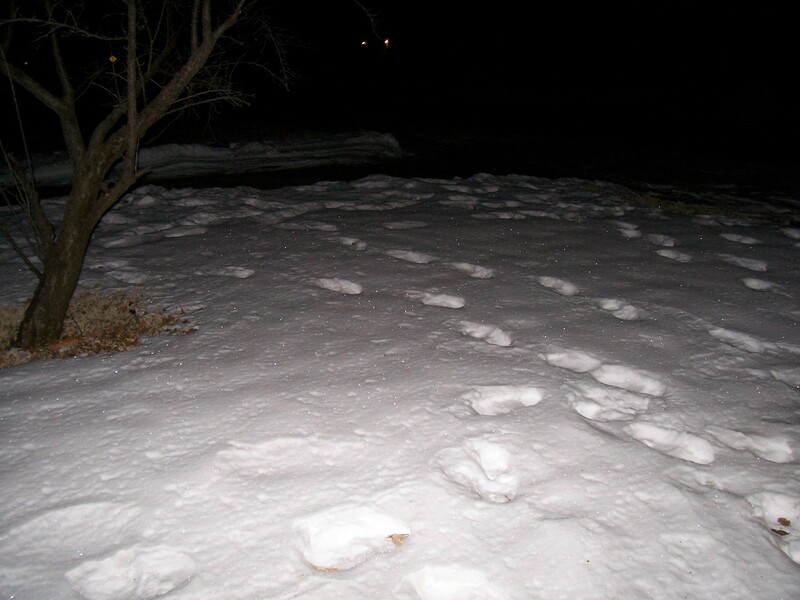 A night scene of footprints in the snow would not be the first thing most people would think of as a picture that symbolizes bliss. In my case, the picture was the end of a thirty-year journey to hold my first novel in my hands. One dark snowy night, I stepped out my front door, and there it was: the perfect scene for the cover of my novel. It was 2008 when I held the first print copy in my hands. I had often bemoaned the fact that without publication, a book was just a bunch of typed pages in a box. Painters can hang their work on a wall. Musicians can play their compositions for friends and family. But an unpublished book is an unfinished work. Then I discovered print-on-demand publishing through Lulu. 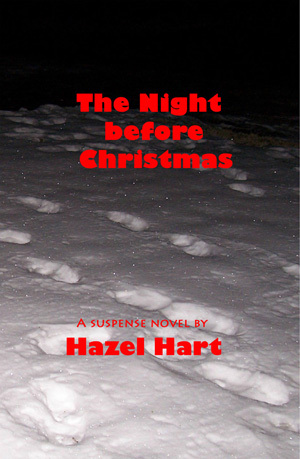 I had the novel manuscript, but I didn’t have a cover until that winter night I opened my front door, and there it was. Yes, bliss is the right word for the emotion I felt. 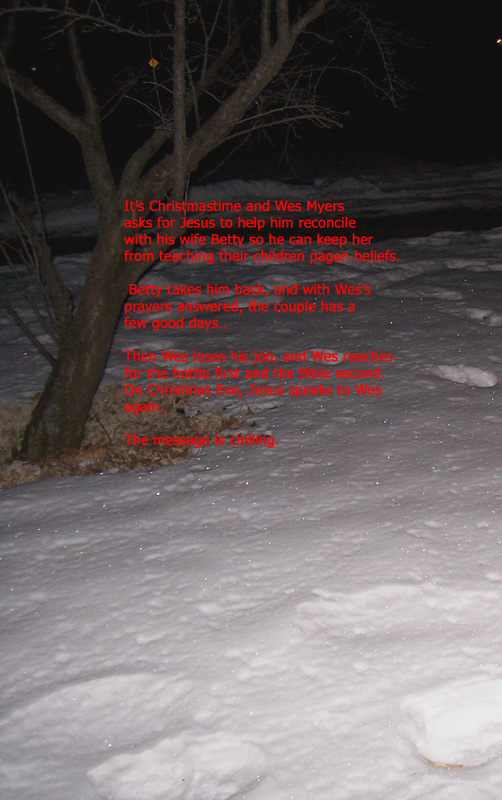 Using Photoshop, I divided the photo and made the front and back cover of The Night before Christmas. The tree on the back cover died the next summer and was removed, but it lives on in my memory and on the back cover of my book. Gallery | This entry was posted in Photograph 101, Word Definitions and tagged Bliss, book cover, photo101. Bookmark the permalink. How appropriate! It is indeed bliss when you finally accomplish the publication of your first novel. That is exactly how I felt when, after thirteen year, published my first novel. Good post, Hazel.